You are here: Home > MCSD News & Alerts > MCSD News & Alerts > Colorado News > 2017 National Crayon Day at Musc Art Center! 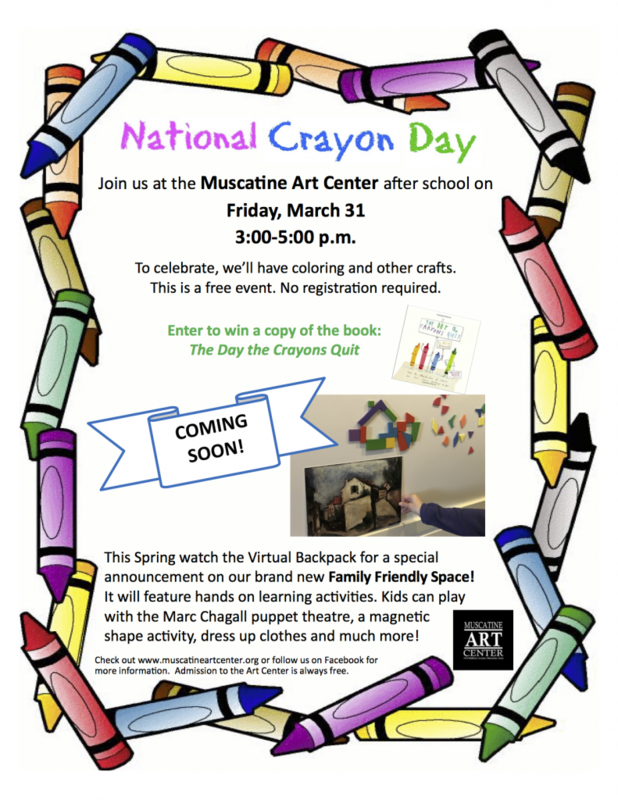 Join us in the studio at the Muscatine Art Center and help us celebrate National Crayon Day! Theresa will have coloring, stories and crayola crafts! This is offered free to the public. Also enter into a drawing for the book “The Day the Crayons Quit!”. For more information call Teresa at 563.263.8282.